Supplementing current anti-depressant medication with B vitamins improves response to treatment, according to a study by researchers at The University of Western Australia. Results published recently in the British Journal of Psychiatry show that using vitamin B12 and folate every day for at least a year can enhance the effectiveness of anti-depressant treatment, and helps prevent relapse of major depression in middle-aged and older adults.Winthrop Professor Osvaldo Almeida, Research Director of UWA's Centre for Health and Ageing, said the research had found that sustained B-vitamin use together with anti-depressant treatment for more than a year had significantly improved treatment outcomes in people with major depression. "The risk of relapse was significantly reduced among participants who took the B-vitamins. Previous work had suggested that certain vitamins could have a role in preventing depression, but this is the first time that we have been able to demonstrate unequivocally that we can improve the treatment of depression by supplementing medication with B-vitamins." 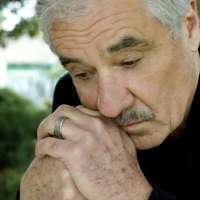 Professor Almeida said that soon GPs could be recommending the use of B-vitamins as a safe and inexpensive strategy in the treatment of major depression in older adults, although he cautioned that the study needed to be replicated before such recommendation could be made. "The B-complex vitamins are essential to mental and emotional well-being," he said. "They cannot be stored in our bodies, so we depend entirely on our daily diet to supply them." Depression is common and anti-depressants are at the forefront in management of adults with depressive disorders. Depression is common although not all patients respond to standard treatment in the most favourable way. Several studies have confirmed that depression is associated with low concentrations of folate and vitamin B12. The trial involved 153 Perth people over the age of 50 who were experiencing a major depressive episode. Is depression over-diagnosed and over-treated?